Go Green with EcoBuddies: EcoBuddies Partners with Pandas International and Kids Saving the Rainforest! 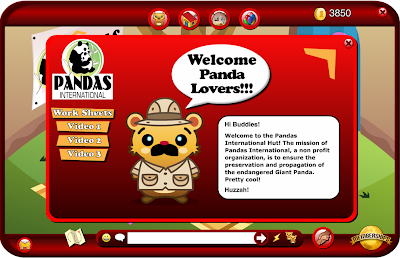 EcoBuddies Partners with Pandas International and Kids Saving the Rainforest! Oh My Goodness! 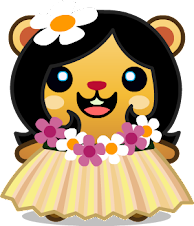 EcoBuddies is partnering with Pandas International and Kids Saving the Rainforest in order to give its players information about the awesome work that these organizations do and the animals they protect! By the end of today, you will be able to check out the Pandas International hut within our virtual world right beside our Eco-Explorers hut on the Tiki Islands!! Next week you will be able to explore the Kids Saving the Rainforest hut too, which will be located beside the Pandas International Hut and the Eco-Explorers Hut! Yeah! Let us know what you think of all the cool new materials!